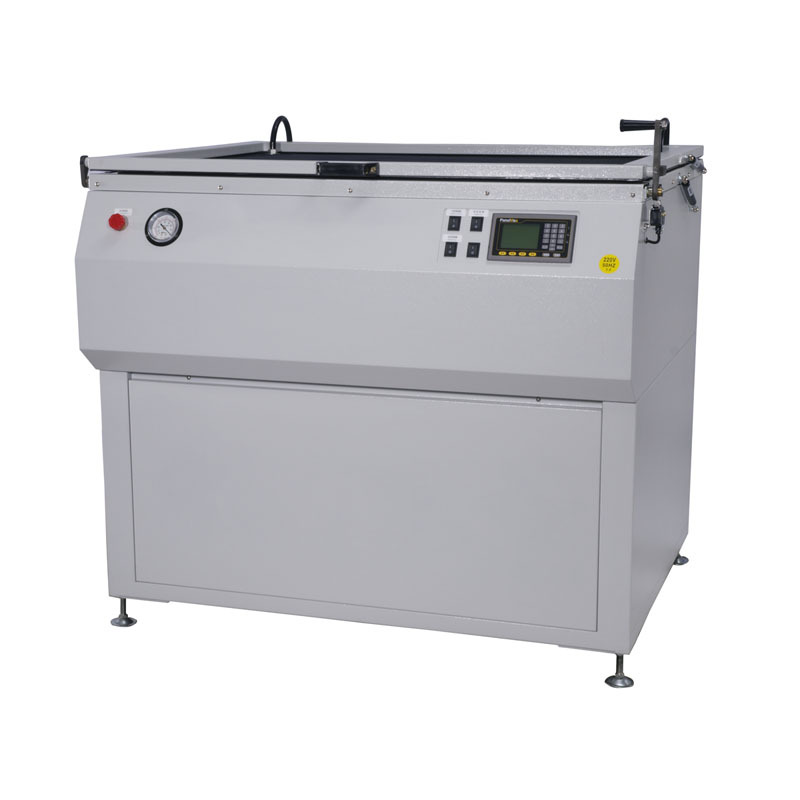 Silk Screen Vacuum Printing Frame(WE-9120) - Guger Industries Co., Ltd. Equipped with dustless，oilless and low-noise vacuum pump and highly-tensile，UV-proof rubber board。Creates a vacuum evenly and rapidly。Quick and immediate contact between film and screen，very smooth contact surface。Good for printing images made up of extra-fine and high density lines down to direct，indirect or direct/indirect screens in a dustless room. Programmable Logic Controller (PLC) with LCD monitor, the Light accumulator controls the exposure accurately with deviation ±2%, disregards the variation of UV light intensity from lamp fading, power changing, and starting temperature. Imported reflector material endures strong UV light and resists oxidization; special design allows light spreading evenly, that the PS plate can be exposed evenly & steadily. Two instant types 3000W or 6000W are available for your selection with excellent power saving, or two steps warm up type (2000W / 4000W) for heavy job loading operation.